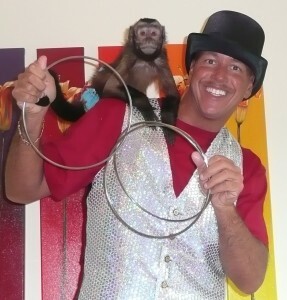 Pinehurst Magician is a 5 star magician in Pinehurst North Carolina. 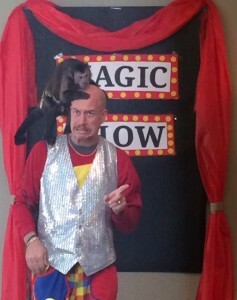 Magician Pinehurst has over a decade of experience. Great for schools, birthday parties, or any event. Live animals are in every show. You can have face painting or balloon twisting as well. Lots of audience participation. Hire your very own Pinehurst Magician at a low cost. Coupons are available. Inside or outside shows can be performed. Ranked #1 in N.C. Feel free to take pictures or video. The children will be laughing and screaming during this high energy magic show. To book the Pinehurst Magician is simple. Call David 919-266-1682 to get the best entertainment around. For this top rated magician – family events are his specialty. Pinehurst Magicians or Magician Pinehurst serves as a Magician Pinehurst North Carolina. Blue and Gold Cub Scout Magician Raleigh. Blue and gold magician, cub scout magician, blue and gold entertainment, blue and gold magic shows, Cub Scout Magician for Blue and Gold Banquets, Blue and Gold Magic Show, Blue and Gold Magician. Magic by David, the Blue and Gold cub Scout Magician will entertain your group with magic geared for scouts, hilarious comedy, magic tricks, amazing fun, jokes & gags tailored for your pack and your guests. I’ve created a “Blue & Gold” magic show that will entertain scouts, siblings and adults alike! I’ve performed at hundreds of Blue & Gold banquets. AUDIENCE PARTICIPATION: Getting the audience involved in the show is a sure fire way to insure success! Everyone helps to make the “magic” happen and both scouts and siblings will be invited to come up and participate in the show. And as you might imagine, the look on a child’s face when they are on stage and performing magic is priceless! AMAZING MAGIC: The magic will have the entire audience “oohing” and “ahhing” over the impossible being performed right in front of their eyes! Everyone will be laughing non-stop from the time the show starts to the very end. If you’d like to see your Pack laughing, smiling and applauding at your Blue & Gold, my magic show is guaranteed way to make that happen! A quality magic show is the perfect way to harness all the excitement and energy at your Blue and Gold Banquet. Your Scouts have worked hard to achieve their goals and rank. Reward them with a night of magical entertainment they will never forget! The performance highlights the values of Scouting through the Magic, it’s a very magical show with an underlying positive message Scouts can relate to. Blue and Gold Banquets are some of my favorite shows every year. To help celebrate the Pack’s success and achievements of the past year and look forward to the new year is a great honor and privilege. Former cub scout Magic by David is an award winning magician. ranked #1 with 10 years experience.